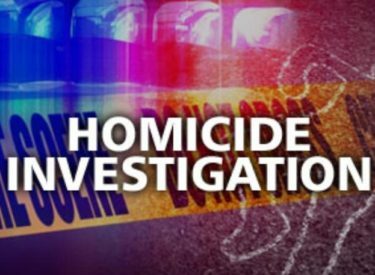 HODGEMAN COUNTY– The Kansas Bureau of Investigation (KBI) and the Hodgeman County Sheriff’s Office have identified the man found dead in a field in Hodgeman County Monday night. The deceased man was Bayron O. Diaz-Bautista. Diaz-Bautista was 21 years old, and from the Fort Collins, Colo. area. Results of the autopsy are still pending. HODGEMAN COUNTY– The Kansas Bureau of Investigation (KBI) and the Hodgeman County Sheriff’s Office are investigating after a body was found Monday night in a field in Hodgeman County. At 10:09 p.m. on Monday, Oct. 1 the Hodgeman County Sheriff’s Office received a 911 call from an area farmer reporting that he had located a body in his field. Responding deputies located a deceased Hispanic male approximately three miles West of Hanston, Kan., and East of the intersection of NE 225 Road and N Road. The Sheriff’s Office requested KBI assistance at approximately 10:45 p.m. Monday night. KBI agents and the Crime Scene Response Team responded to investigate. The deceased male has not yet been identified. An autopsy will be conducted. The case is being investigated as a homicide.